Rabbi Yehuda Moses, is the spiritual leader for the Sephardic Minyan. He was raised and brought up in London in the Jewish community of Stamford Hill. ; Rabbi Moses studied in Sunderland Yeshiva under the Rosh Yeshiva Rabbi Shami Zahn, z’l’ and later studied in Lakewood East in Jerusalem and in the Mier Yeshiva in Jerusalem. Soon after his marriage in 1998, Rabbi Moses entered the Rabbinical High College of Jerusalem, under the auspices of the Chief Rabbi of Israel, Rav Eliyahoo Bakshi Doron.He received his Rabbinical Ordination from the Chief Rabbinate of Israel. 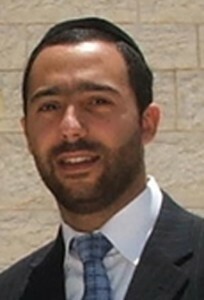 Simultaneously, he took a two-year course at Ner Le’Elef, World Center for Jewish Leadership Training and Community Outreach, which included the following subjects, Child Development, Public Speaking, Speech and Communications.In 2002 Rabbi Moses and his family moved to Los Angeles where he became the rabbi and the spiritual leader of the Nessah Young Professionals of Beverly Hills, where he held that position until coming to Mogen David four years ago.Rabbi Moses does a great deal of work within the Jewish community, including outreach to young couples, singles and college students. He also gives workshops and lectures on various topics such as Marriage, Jewish Education. Parenting, Jewish Law, Parsha and Talmud. 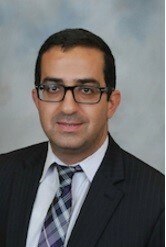 Currently, Rabbi Moses is also a full-time teacher in the Maimonides Academy, teaching grades 5-8. Rabbi Moses and his wife, Dina, have four children, Eliyahou Binyamin, Shira, Yosef Chaim, and Talia. Rabbi Michael Abraham has been teaching in Los Angeles for 12 years and is currently the assistant Rabbi at Kehilat Mogen David Sephardic Minyan and a 10th grade Rebbe at YULA Boys Campus.He was born in Italy and grew up in Eretz Israel where he served in the IDF. He graduated Yeshiva from Nachalat David Petach Tikvah, received semikha from Kollel Beit Meir in Yerushalyim and earned a degree in Education from American Jewish University. He has taught in other institutions such as Mikdash Melekh, Shalhevet middle school and YULA Girls.Rabbi Abraham has been in Los Angeles for the past 12 years with his wife Yisca and his four children.